Sports bettors can’t simply take their NBA betting strategies to college basketball, part and parcel. They have to know how to adjust for key variables between the amateurs and pros, like game-length, schedule, and home-court advantage. NCAA basketball is lower scoring than the NBA, and home-court advantage counts for more, facts that must be kept in mind when wagering on game totals and road teams. Smart college basketball bettors can find value by wagering on smaller schools. By doing diligent research, gamblers can wind up with a better understanding of small-conference teams and, in turn, identify flawed point spreads and moneylines. Most sportsbooks treat the NBA and NCAA Division I basketball like two sides of the same coin. They allow bettors to make wagers on spreads, moneylines, and totals in both sports, and offer the same kinds of tantalizing prop bets and alternative lines. In fact, they look so much alike that many first-time bettors employ the exact same strategies when switching between the two. It’s an easy trap to fall into, and it can get you burned every time if you don’t know how to account for the differences. Although NBA games and NCAA basketball games look the same on a betting slip, they’re very different sports with different rules, different business models and, more often than not, very different outcomes. Game length: NCAA games are just 40 minutes long and are made up of two 20-minute halves. NBA games, meanwhile, are 48 minutes long and consist of four 12-minute quarters. NBA players can use those additional eight minutes to generate significantly more possessions, which, in turn, leads to a lot more points. Shot clocks: The NCAA uses a 30-second shot clock, compared to a 24-second shot clock in the NBA. The longer shot clock allows college teams to “milk the clock” in an attempt to control the ball and limit the number of possessions available to the other team. It’s a tediously effective strategy that many college coaches employ when their team takes the lead. We’re looking at you, Tony Bennett. Skill level: Professional basketball players are simply better than their college counterparts. In 2013, NCAA teams shot 43.3-percent from the field and 33.9-percent from behind the arc. By contrast, NBA teams shot 45-percent from the field and 36-percent from deep. That gap would likely be even wider were it not for the fact that the college three-point line is four feet closer than it is in the NBA. It’s crucial to understand these differences when wagering on totals. It isn’t uncommon for NBA teams to combine for 225 points, but it’s unheard of in the NCAA unless a game goes to multiple overtimes. Handicapping the NBA is far from an easy feat, but it’s a breeze compared to the NCAA, where there are 351 Division I basketball teams. It’s nearly impossible for sportsbooks to have a feel for all of those teams and their incoming players early in the season, especially when many of them are still focused on handicapping NFL, NBA, and college football games. 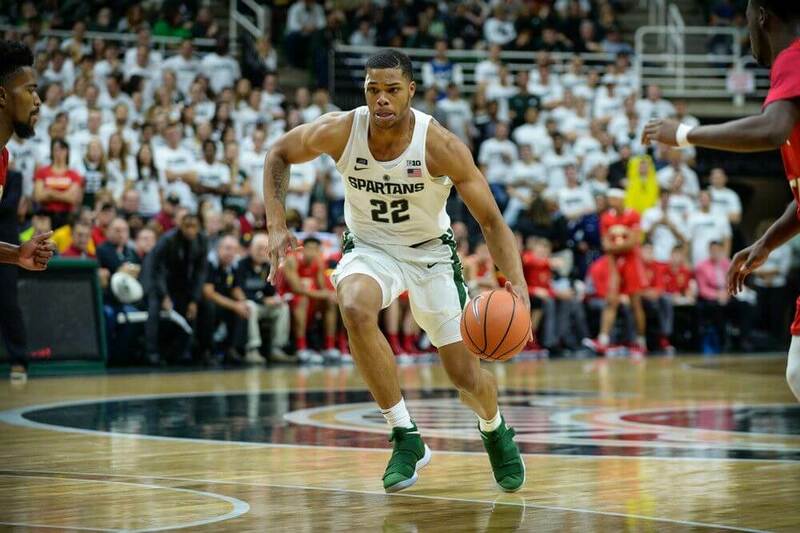 As a result, bettors can make a ton of money in November and December by doing their homework and focusing on lesser-known schools from smaller conferences like the Horizon League or the Colonial Athletic Association. You may not be a fan of the Towson University Tigers now, but you will be after they make you a couple hundred bucks. As stated, though, research is critical. There is no substitute for time and effort. The only way a sports bettor will have a better feel for a game than a sportsbook is if the bettor is more familiar with the teams. Bettors can use sites like TeamRankings to track every Division I squad’s record against the spread, while advanced metrics like KenPom provide a gauge of offensive/defensive efficiency, among other things. It should be noted that not every Division I basketball game will be available for wagering at every sportsbook. This is precisely because sportsbooks know their limit when it comes to accurately handicapping teams. If the powers-that-be at an online betting site feel they cannot set an accurate spread, they simply won’t offer that game on their menu. However, the number of games that aren’t available becomes smaller and smaller every year, because the predictive models from KenPom and Sagarin are basically cheat-codes that both sportsbooks and sports bettors can lean on. When it comes to scheduling, college kids have it easy. Most Division I teams play only 35 games per year and typically max out at two games per week after season tip-off tournaments. By contrast, NBA teams play 82 regular-season games and frequently play three to four games per week. The average NBA team also plays 14.4 back-to-back games per season, which, again, is something college teams only experience during tournament play. More games mean more travel. The average NBA player racks up over 40,000 air miles per season as they criss-cross the continent. All of that travel, across all those time zones, takes its toll on players. Studies have shown that excessive travel adversely affects reaction time, wreaks havoc on circadian rhythms, and even lowers testosterone levels. It’s the reason why so-called “scheduled losses” are so common in the NBA. Uniformity: In the NBA, nearly every arena has the same layout, similar lighting, and comparable capacity. That isn’t the case in the NCAA, where every venue offers a unique experience. Consider, for instance, Duke’s Cameron Indoor Stadium. The 9,314-seat arena is a tiny bandbox in which the (certifiably insane) fans practically spill out onto the court. Or how about Sacramento State’s minuscule 1,102-seat Hornets Nest with its tight dimensions and small-town high school-atmosphere? Unlike in the NBA, college players continuously have to adapt to their environment and get used to unusual venues and impassioned fans on the fly. That’s something that can throw off your shot, among other elements of your game. Experience: College players are, as a whole, younger than the pros, and tend to feel more comfortable and more confident playing on their home court rather than in front of hostile fans thousands of miles away. Take, for example, Lonzo Ball. 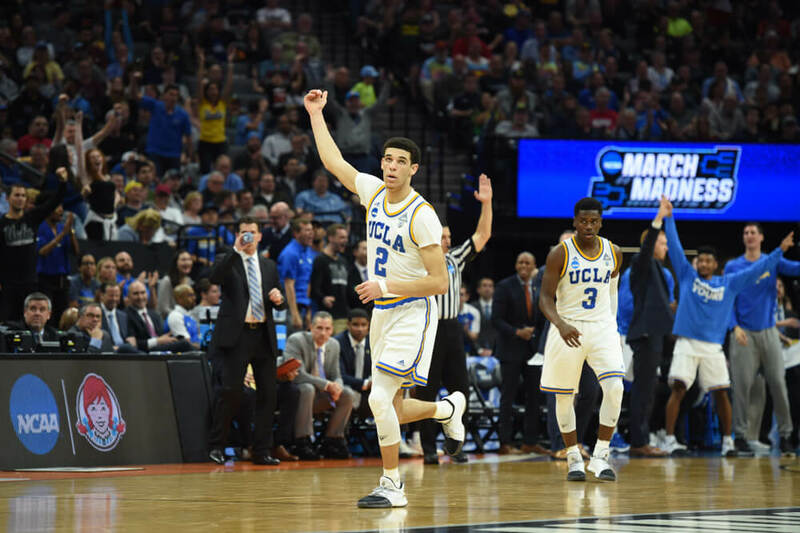 The eldest member of the Ball family averaged nearly two fewer points per game last season for UCLA when playing away from Pauley Pavilion. The same was true for fellow All-American guard Josh Hart, who averaged close to three fewer points when playing away from Villanova’s Pavilion. Young players (even exceptional players like Ball and Hart) tend to get rattled and become less productive when they stray away from their comfort zones. Bettors need to weigh the importance of home-court advantage far more carefully when wagering on the moneyline in the NCAA. It’s also important to understand that road underdogs fare far worse in the NCAA than the NBA. The Golden State Warriors and Cleveland Cavaliers have developed a nice little rivalry over the past four seasons, but it pales in comparison to the decades-long regional rivalries between college teams all across America. Take, for example, Duke and North Carolina, who have squared off 176 times since 1949. Or how about Kansas and Kansas St., who have been battling it out since 1907. Every time these teams meet it isn’t just a game, it’s a borderline religious experience for players and fans alike. Blood is spilled, tears are shed, and indelible new memories are created. Bettors need to take these rivalries and the resultant animosity between schools into account before laying down their bets. Some schools use them to exact revenge for previous losses, while others use them as motivation and manage to cover seemingly impossible spreads. As the opening lines at sportsbooks become more and more computer-based, they fail to factor in the intangibles of rivalry games. History suggests that there is often value in betting a big underdog in a rivalry game. There are 491 players in the NBA, and they’re all exceptionally talented (yes, even Wesley Johnson). Each and every one of them was likely the best player on his high-school squad, AAU team, and college program. Some score more than others, and some have a more pronounced impact on the court, but that’s often a matter of opportunity and fit, rather than talent. Conversely, there are 4,563 Division I men’s basketball players, and only 1.1-percent of them will ever make it to the NBA. Some are good, some are mediocre, and some are downright bad in comparison. The talent discrepancy between the best and worst of these players is less like a gap and more of a giant chasm. Just think about this: in 2015, Kentucky sported a roster that included Karl-Anthony Towns, Devin Booker, Trey Lyles, and Willie Cauley-Stein, four players who were all in the NBA the next season. Early in the year, they played the likes of Grand Canyon, a team ranked 263rd on KenPom and filled mainly with Phoenix area kids passed over by bigger schools. Kentucky won by 40, and it could have been worse. Grand Canyon had 16 points in the first half. Towns and Cauley-Stein combined for seven blocks in just 45 minutes. It resembled a big brother/little brother driveway game. Great players and great teams have a far more significant advantage in the NCAA, where they can dominate the weaker competition. That’s something bettors need to bear in mind when betting on college and the pros. You shouldn’t necessarily balk at 20 and 30-point spreads. Often, smaller schools are entirely overmatched. College rosters generally remain the same throughout the season, but that isn’t the case in the NBA, where general managers are constantly trying to upgrade their teams via trades, free agency, and G-League call-ups. Some in-season trades and signings barely make a ripple, while others instantly transform a middling team into a championship contender. Consider the case of the 2001 Philadelphia 76ers, who advanced to the NBA Finals after picking up Dikembe Mutombo at the trade deadline, or the 2004 Detroit Pistons, who won their third championship after wisely acquiring Rasheed Wallace from the Portland Trail Blazers. It generally takes sportsbooks a few games to determine how a newly-acquired player will affect a team’s performance, and there’s a lot of money to be made during this period of uncertainty. NBA bettors need to look at all incoming and outgoing personnel and carefully consider how a trade will affect a team’s performance, chemistry, and morale. In contrast, by the time March rolls around, both sportsbooks and bettors will know how college teams fit together. The exception, of course, is injuries. Despite the lighter schedule discussed above, college players are not immune from getting hurt, and injuries can throw a team entirely out of whack. College teams don’t have the ability to go out and make a trade when a key player goes down, and they may not have the roster depth to handle it in-house. The 2017-18 Notre Dame Fighting Irish are a perfect example. Their roster was already thin in the frontcourt when their Mr. Everything, Bonzie Colson, suffered a foot injury that would sideline him for months. Ranked as high as no. 5 in the nation before the preseason All American went down, the Irish would go onto play .500 basketball in the aftermath. They were only held under 70 points twice with Colson in the lineup but failed to crack the 70-point plateau in regulation time in four of their next six. Searching for More Betting Advice? If you’re trying to get over the hump and boost your bankroll in a big way, you’re going to have to do your research. Thankfully, we’ve got your back, and we’re confident we can point you in the right direction with our guide to the sharpest sports betting strategies.